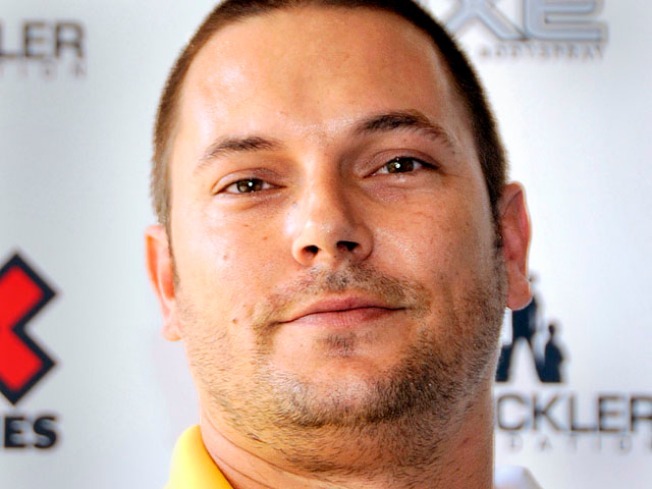 Kevin Federline has opened up to Access Hollywood's Maria Menounos about his battle with depression, weight gain and his relationship with ex-wife Britney Spears. Kevin, who will next be seen as a contestant on VH1's "Celebrity Fit Club: Boot Camp," told Maria that despite the rumors, he did not gain weight to secure a spot on the reality show. "They called me and they asked me if I wanted to do it and I had maybe 24 hours to decide because the show started taping the next day after that weekend," he said. "It just couldn't have come at a better time." Married to pop star Britney Spears for two years, Kevin revealed that depression played a big part in his overeating. "Once you get depressed, you don't really feel like doing anything. You're kind of discouraged about yourself and then the weight gain too, or that makes me more depressed," he said. "I mean, it's a combination of all of those things." Kevin admitted that his divorce from the pop princess in 2006 played a part in his depression. "A number of things between, I mean, everybody knows what happened with me and Brit. I'm not going to say that's the total cause of it but, I mean, just not being happy with myself was probably the main part of my depression," he said. When asked if he has gotten to a place where he can be friends with Britney, Kevin said the has. "Yeah, I mean, I think as time goes on, it keeps getting better and better and better. I mean, I'm really happy the way that my life is going right now, I really am," he told Maria. "I think, you know, I have come a long way. All of us have…my whole family. "It's gotten so much better from where we were," he added. When Maria asked how he felt about the evolution from Britney's tumultuous past to how well things are going for her now and how it has affected their relationship, Kevin replied, "I'm in the best possible scenario right now. I'm really happy for her. I'm very happy for her." Kevin also commented that he can see himself getting married again in the future, and there could be more kids in his future, maybe.
" I could see that happening too," he said. " I'll let the young ones grow up first and we'll see." VH1's "Celebrity Fit Club: Boot Camp" premieres on Monday, February 8, 2010. Maria's interview with Kevin Federline will air on Access Hollywood in February.